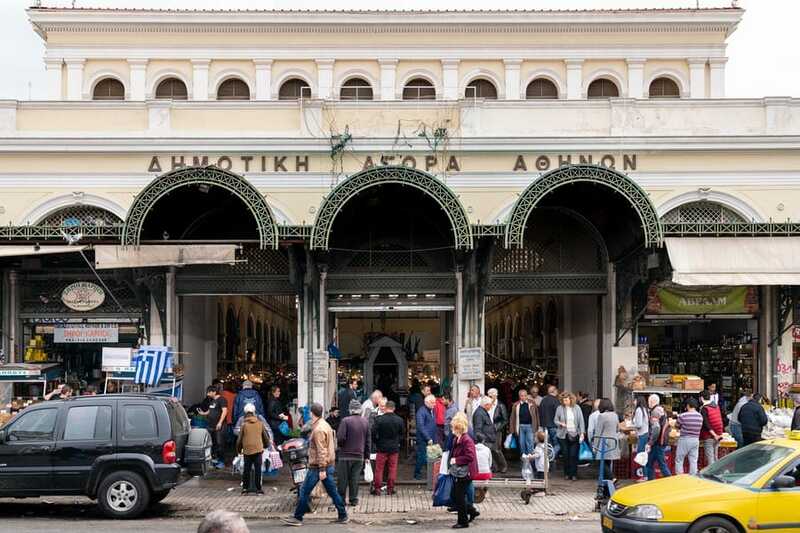 In Athens, Greece, people don’t just eat to live, they live to eat. And I don’t blame them. 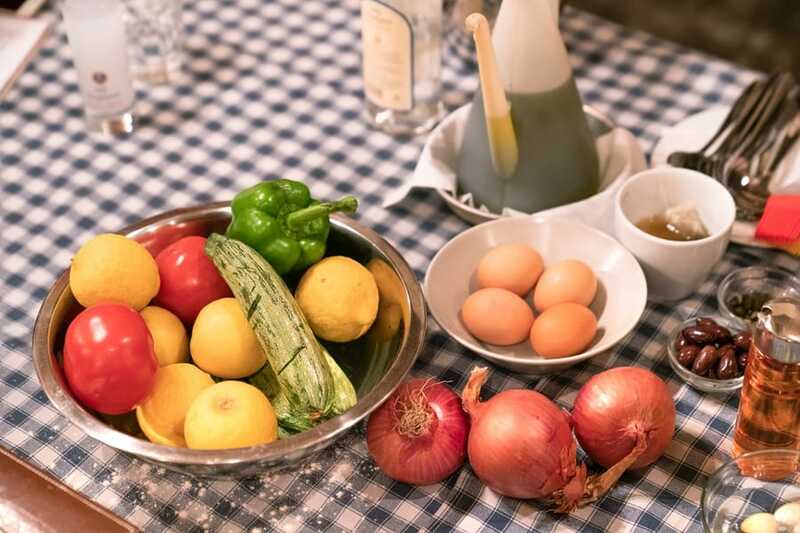 Dishes in Athens are made from fresh-picked fruit and vegetables that burst with flavour. Streets are lined with jovial waiters gesturing you inside their restaurants and aromatic smells that will have your tummy rumbling. Meals often span over 2 or 3 hours and start with meze and aperitifs to really get your appetite going. 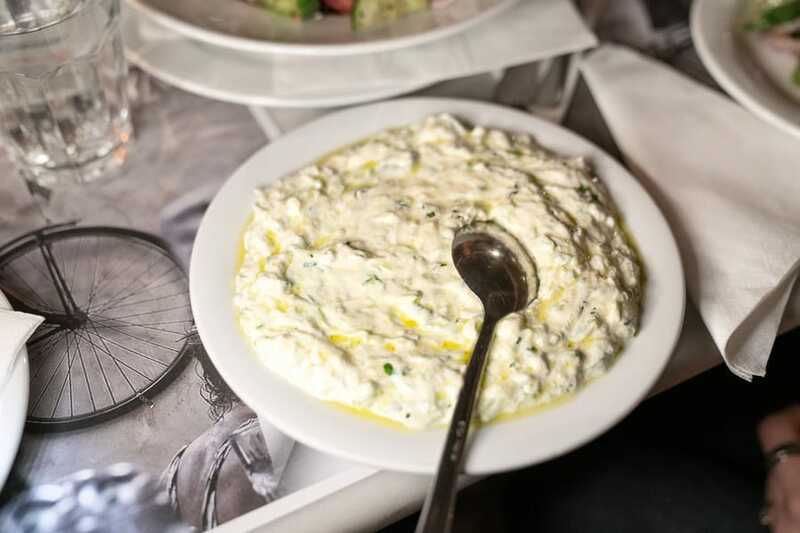 Yep, Athens is a food lovers paradise. But I had a feeling there was even more to Athenian cuisine than dining in a traditional taverna or munching on a gyro from a street stand. 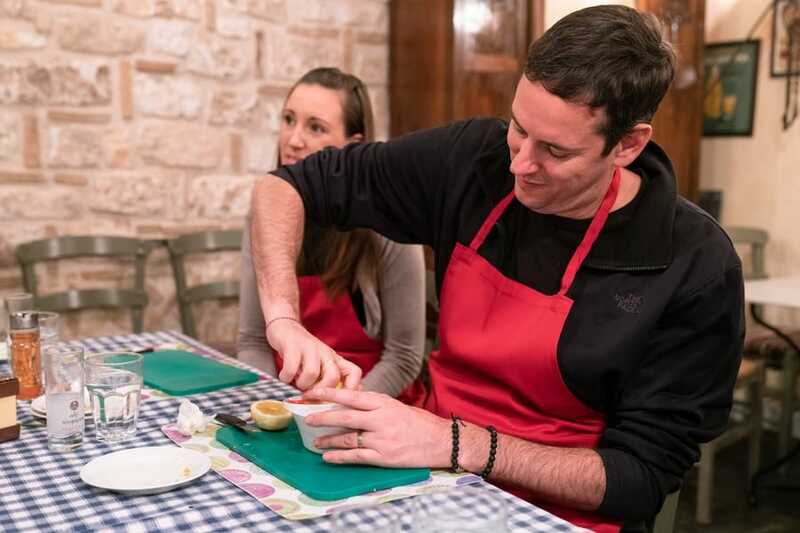 To satisfy my food-culture-cravings, I turned to Athens’ finest restaurants, went on a couple of food tours, and even took a cooking class. 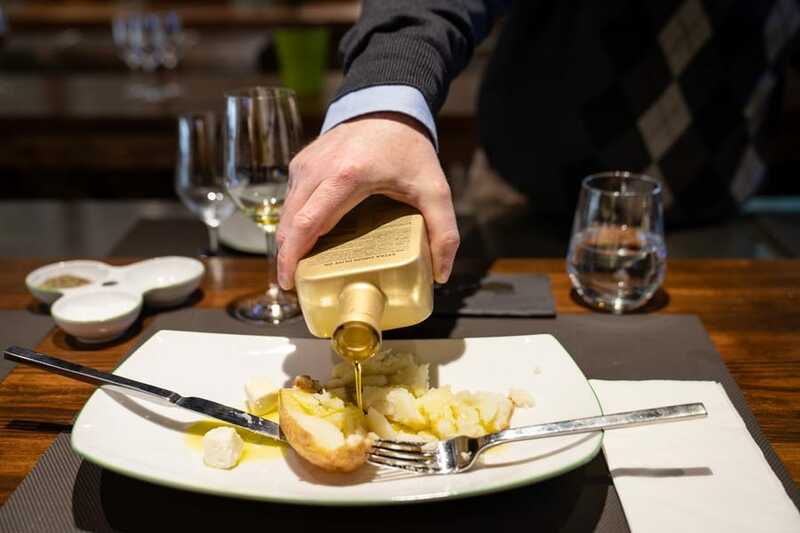 If, like me, you’re a bit of a foodie at heart and want to know where to eat in Athens, then these 5 dining experiences will give you a real taste of this city’s food culture. 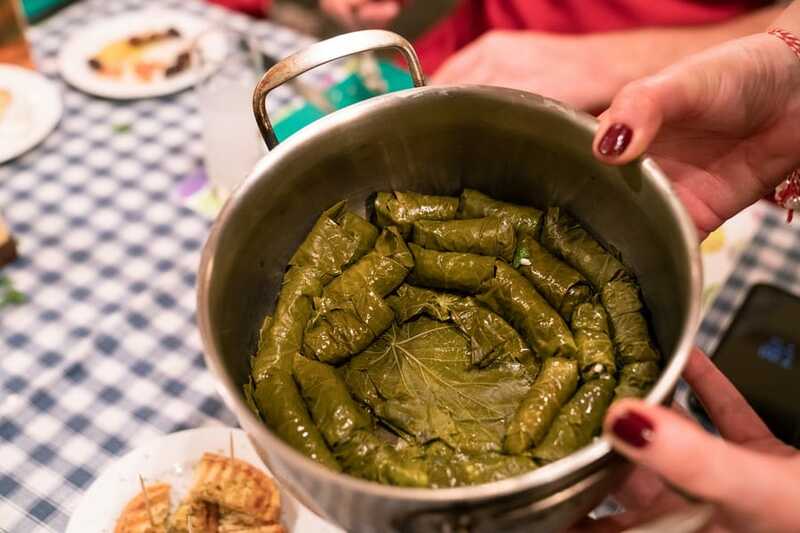 Argo Travel’s Gastronomic Journey of Greece is a 4-hour private walking tour with 10 tastings from cafes, delis, restaurants and food stands so far off the beaten track I never would have found them without my trusted guide, Pantelis. 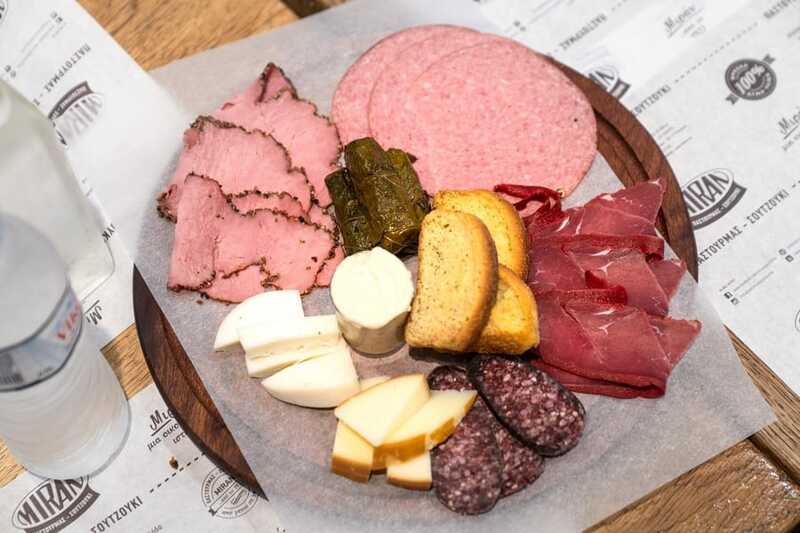 This food tour is not called a “gastronomic journey” for nothing. It really was like going on a journey through time and discovering foods as they were before preservatives were added and chefs fused cuisines for some extra pizzazz. Pantelis only took me to places that use fresh, natural ingredients and make dishes the traditional way, just like his grandmother did. 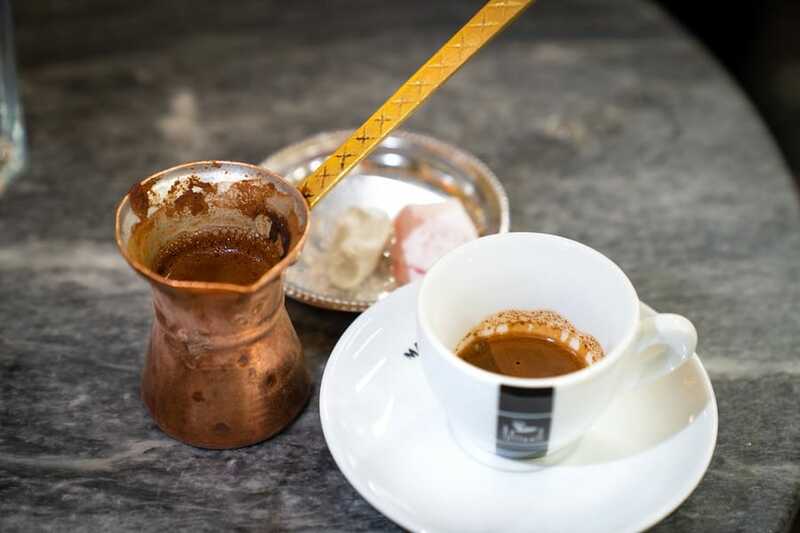 We went to one of Athens’ 2 cafes that still sells traditional Greek coffee, a halva store that often has a 45-minute queue, Pantelis’ favourite souvlaki shop, and a deli that’s been around since 1922. 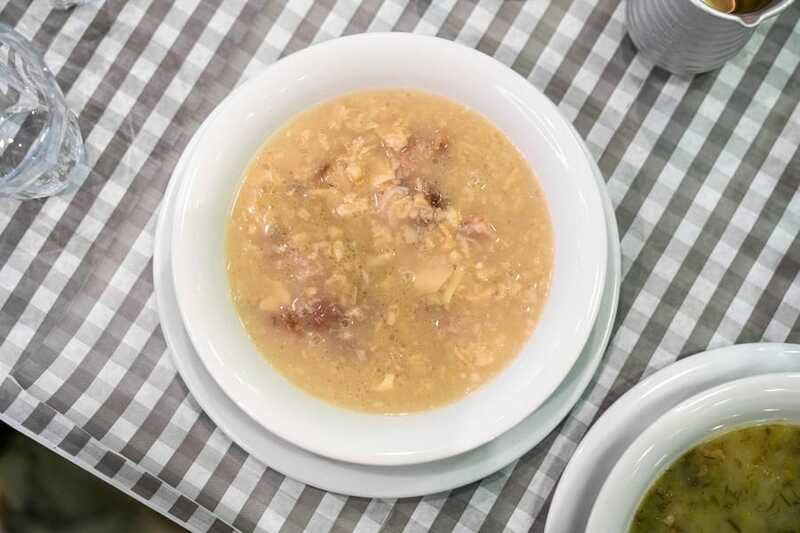 Pantelis explained that many dishes in Greek cuisine come from a time when the country was poor and people made meals out of the few ingredients available, like vegetables, flour, and water. 2 such snack items are Koulouri, a sesame seed covered ring of chewy bread, and loukoumades, traditional Greek doughnuts topped with honey, cinnamon, and spices. Loukoumades may be made on a shoestring budget, but they taste like a million dollars! 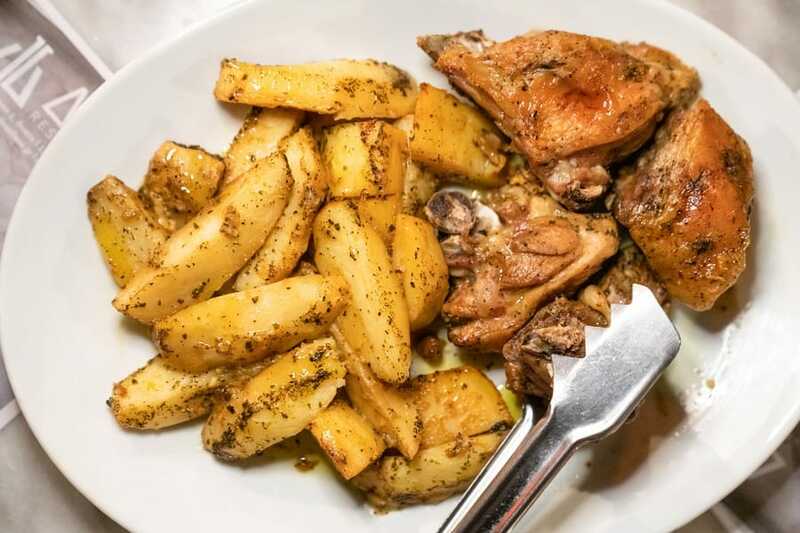 Traditional Greek food was just as much about being cheap to make as it was about using fresh, healthy ingredients, since people had to be fit and strong to work the farms. 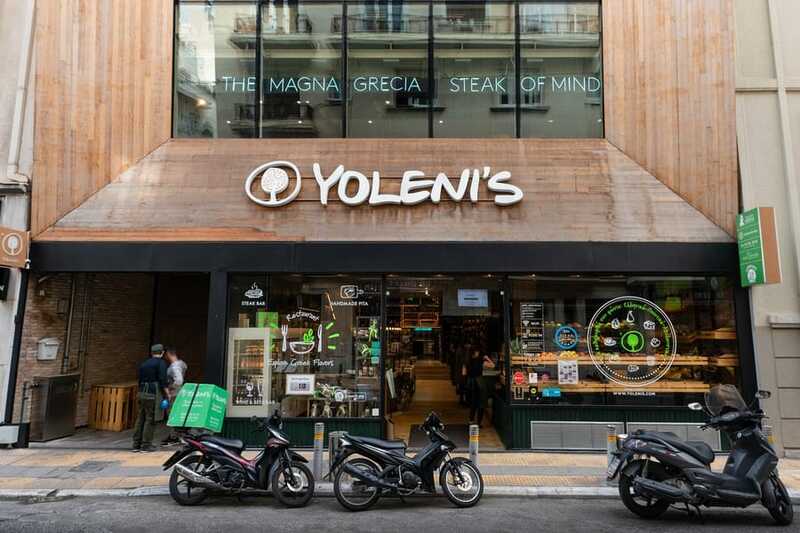 Pantelis took me to Athens’ central market which sees over 100,000 customers a day hunting down fresh ingredients for less than they’d pay at their local supermarket. 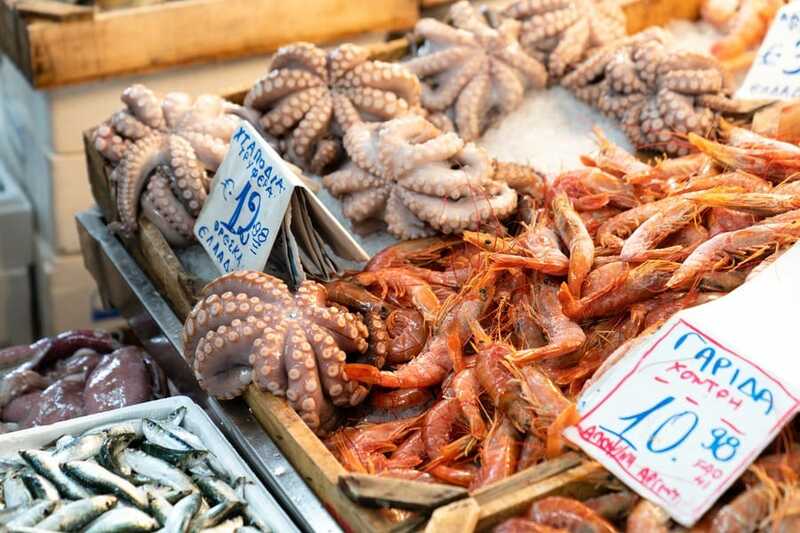 The market is split into 3 sections, a fruit and vegetable market, a meat market, and a fish market. 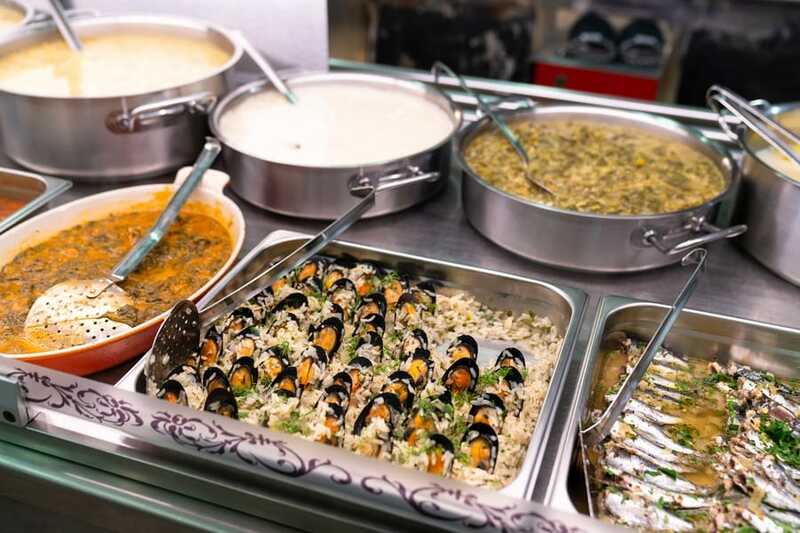 Located within the meat market is a small tavern specialising in hearty winter-style meals like soups, roast meats, and moussaka. 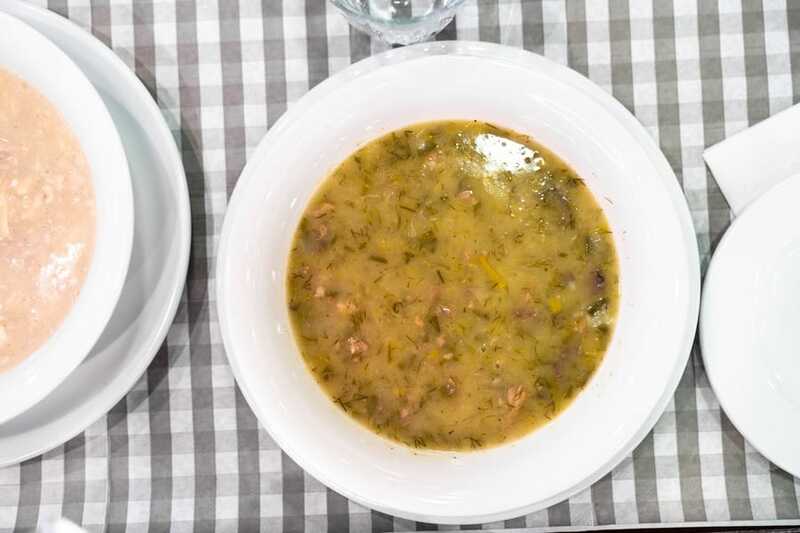 Pantelis convinced me to try patsas, a soup of tripe (cow stomach) and magiritsa, a soup of lamb offal. These soups are said to boost bone and skin health and also be the best cure for a hangover, but one try was enough for me. My bones and skin will have to make do without any more patsas soup. 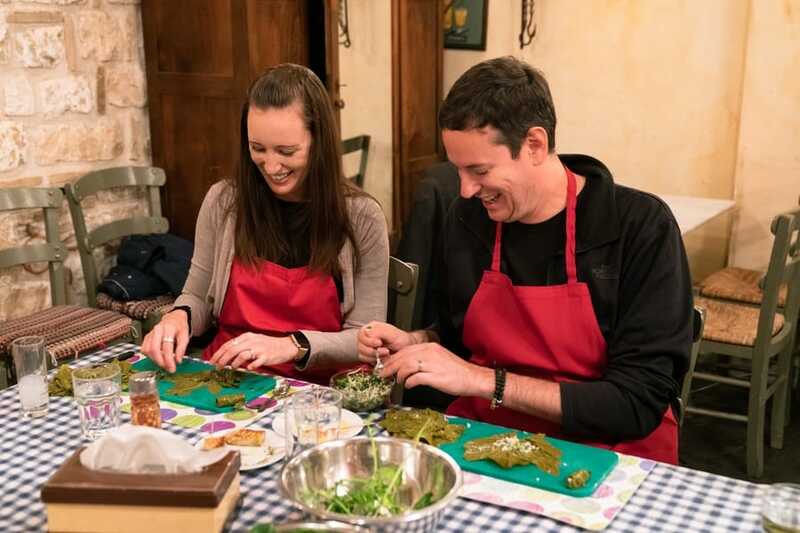 The most mind-blowing thing I learned on this tour was the medicinal properties of olive oil, as documented by Dr Simon Poole in The Olive Oil Diet. 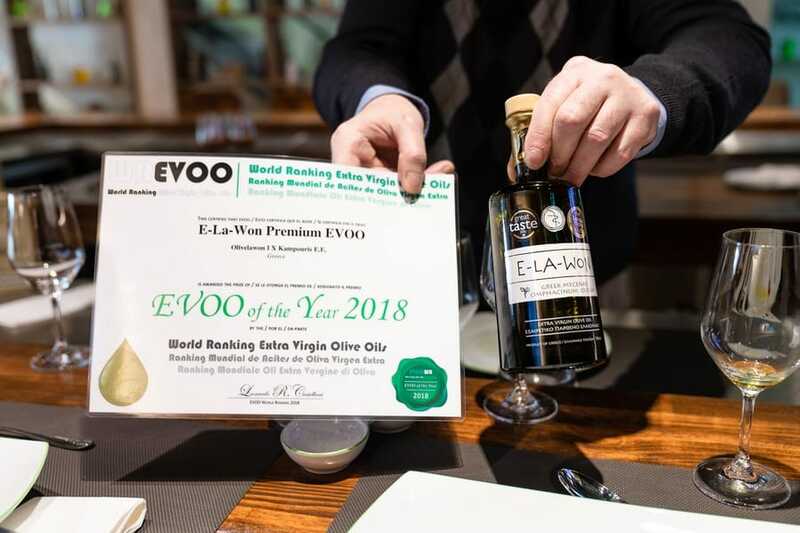 Pantelis took me to Yoleni’s Greek Gastronomy Centre for an olive oil seminar where I tried 3 types of olive oil, including wild olive oil, made from 4,500-year-old olive trees. The olive oil was served on fish, cherry tomatoes, feta cheese, and by itself before the real treat came out. The treat, believe it or not, was a simple baked potato which became not-so-simple when topped with olive oil and rock salt. I never knew a potato could taste so good! Yuh-um! The same oil and salt was then applied to chocolate mousse and my taste buds thought they had died and gone to heaven. Seriously. Who knew a little olive oil could make such a big difference? Warming the olive oil before drinking it. Yep. Unfortunately, the olive oil in your cupboard may not have the same effect. According to Yoleni’s the magic compound in their olive oil is polyphenol, which can be reduced or even lost in some modern production techniques. So don’t try this at home, kids. Many Greek wines are made from completely different varieties of grapes compared to more common, international wines. 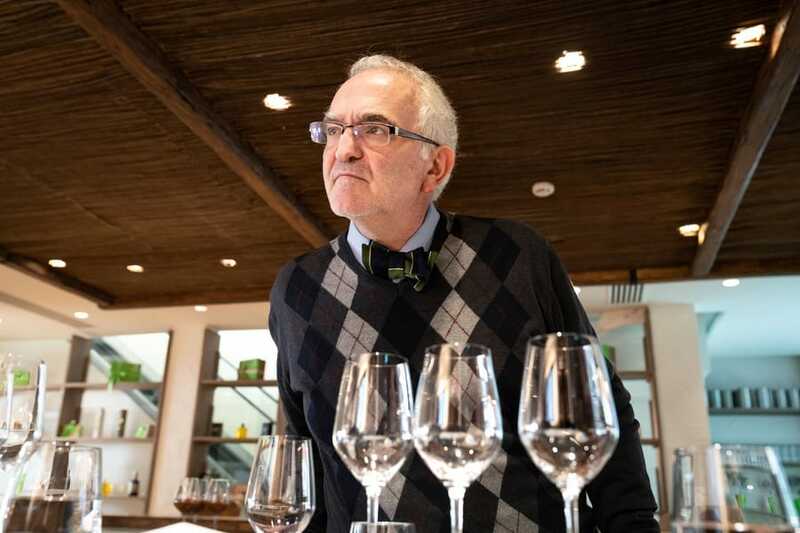 Keen to discover which Greek wines I liked and how to best pair them with food, I booked Greekality’s Food and Wine Tour. Unlike many other tours, this tour is completely customisable to the tastes and preferences of each private tour group. Guide, Marina, likes to chat with her guests before the tour and plan a tailored itinerary that will delight and even surprise them. 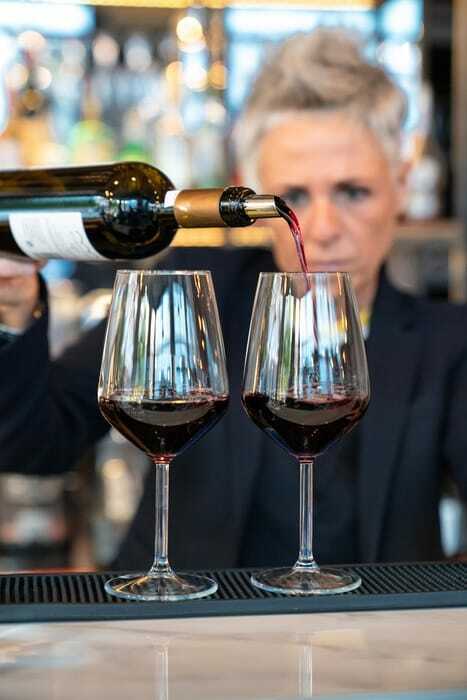 After a short online conversation with me, Marina knew my wife and I would enjoy an introduction to Athens’ wine bar scene so organised 2 wine bars for us to visit on our tour. Marina explained that no 2 Athenian wine bars are the same. Some are modern and sophisticated, some have a laid back, industrial feel, and others are completely quirky. One thing they all have in common however, is their passion for good wine and desire to educate their customers. Our first stop was Oinoscent, a modern and trendy wine bar that also serves Greek fusion food. Here we tried 2 Greek white wines, a Moschofilero from southern Greece and an unoaked Assyrtiko from Santorini. The Moschofilero was light, very easy to drink and paired perfectly with our burrata, cherry tomato, basil, beetroot, and carob rusk salad. The Assyrtiko was more dry and acidic but paired equally as perfectly with our sea bass ceviche mixed with mango, kiwi, and peppers. Marina explained that wines from Santorini have an almost salty aftertaste because of the volcanic soil and strong influence from the sea, although I didn’t notice until she mentioned it. Next we moved on to Caravin Wine and Wonderlust to taste 2 varieties of red wine, an Agiorgitiko from southern Greece and a Xinomavro from northern Greece. 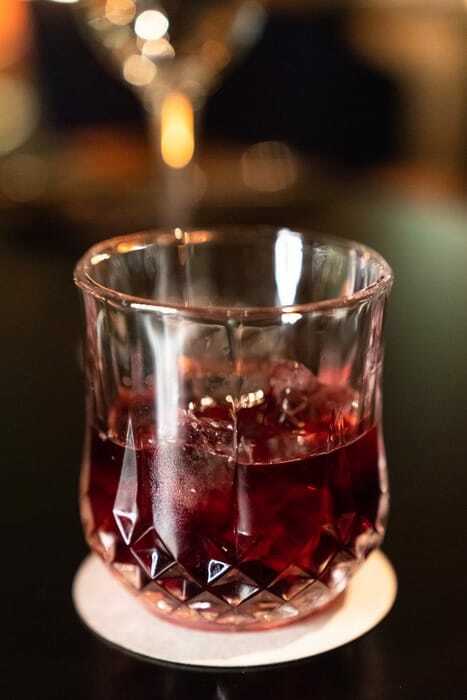 The Agiorgitiko was very easy to drink with light yet spicy flavours and subtle hints of cherry and plum. 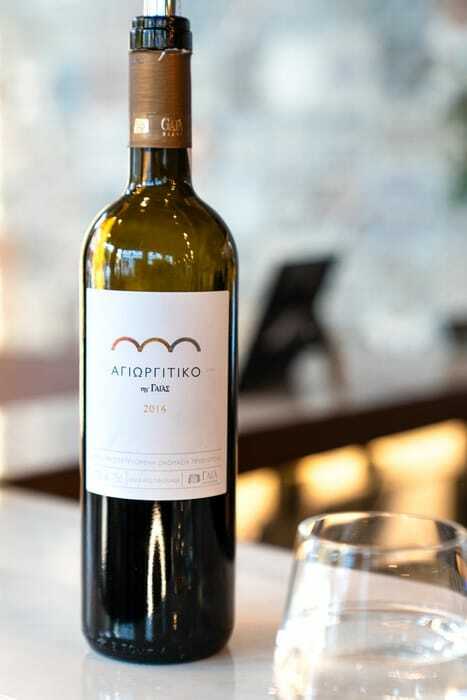 The Xinomarvo was quite acidic and owner, Anna, said it has different flavours to most other Greek wines because the grapes come from a continental, not Mediterranean climate. 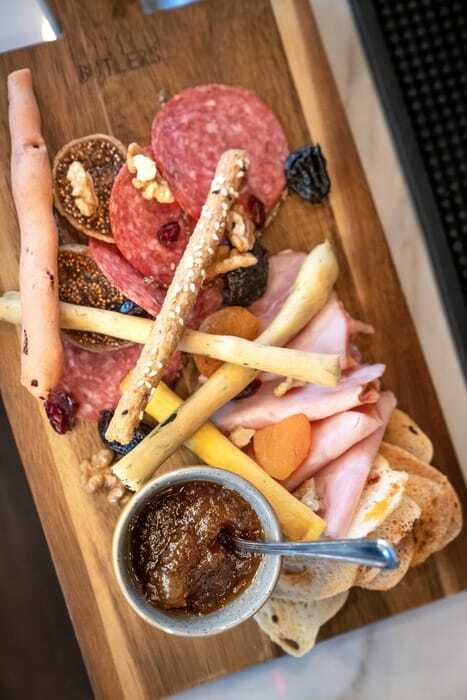 To go with our red wines, we were served a tasty platter of deli meats, nuts, dried fruits, bread sticks, and home-made apple marmalade. Anna gave us tips on which foods to pair with each wine, pointing out that fatty meats like salami go best with acidic wines. On this tour, I learned that Greece has over 200 grape varieties, 50-60 of which have already been commercialised and more are on their way. Marina mentioned winemakers are starting to experiment with new grape varieties and also with blended grape varieties. 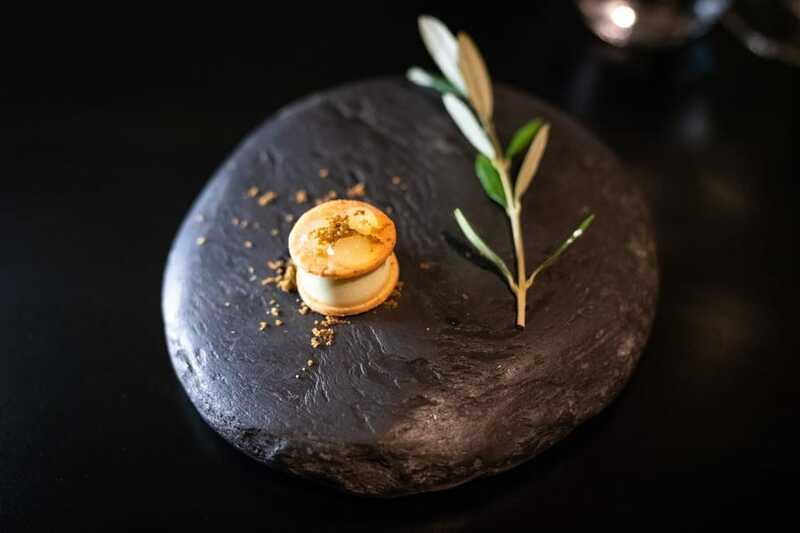 Greek food may have humble roots, but it can sure get ultra-fancy in the hands of Michelin star restaurant, Hytra Restaurant. If you don’t know where to eat in Athens and want to impress your special someone, this will do the trick. 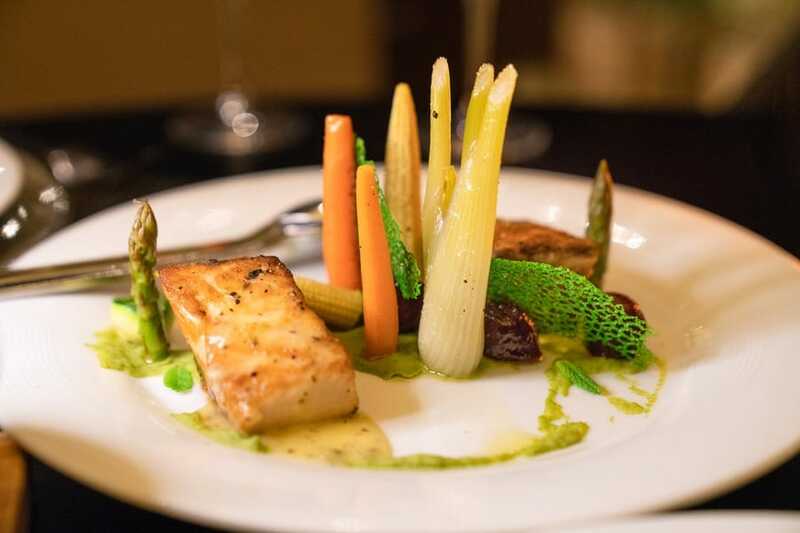 Hytra Restaurant offers an a la carte menu for savvy diners able to choose just one of the many gourmet options, or 8-course, 10-course, and 14-course degustation menus for those who’d rather try a bit of everything. The degustation menus are actually very good value considering the extraordinary quality of food. 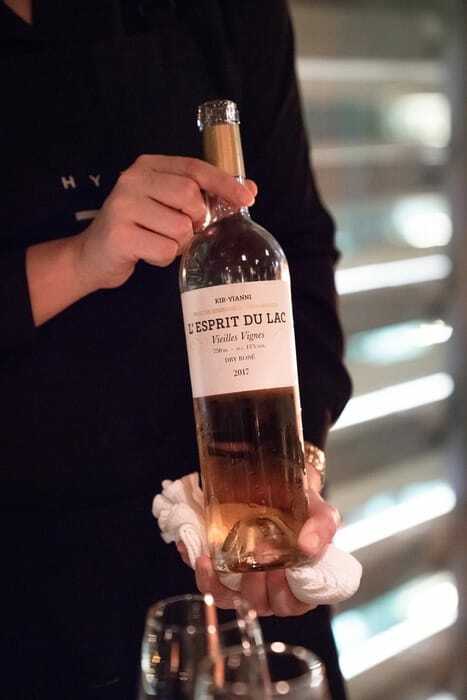 The 8-course menu costs €62 by itself, €94 to pair with 4 glasses of wine, and €96 to pair with 4 cocktails. Now I’ve seen wine pairings before, but never cocktail pairings, so decided to order that option, and what a good choice it turned out to be! 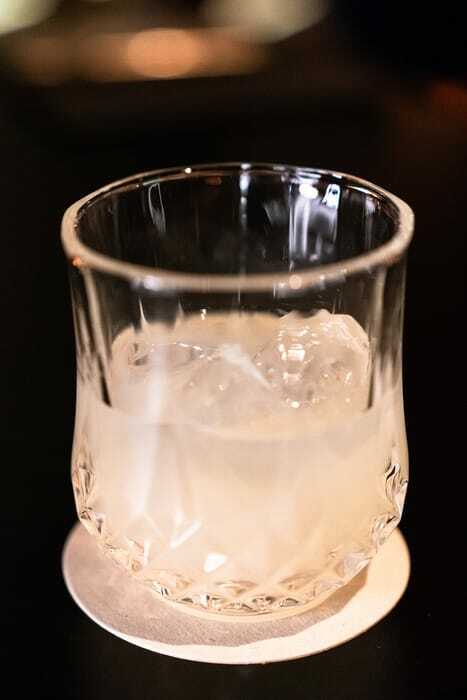 The cocktail pairing activated my palate to experience richer flavours than usually possible. It elevated the whole dining experience to the stratosphere, and that’s not just the cocktails talking! Lol! 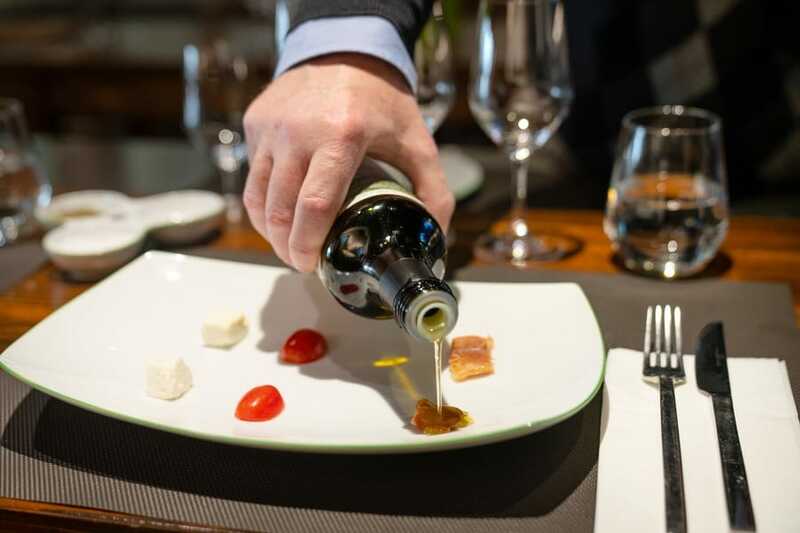 Hytra Restaurant has a unique way of serving traditional Greek ingredients with a modern and artistic flare. 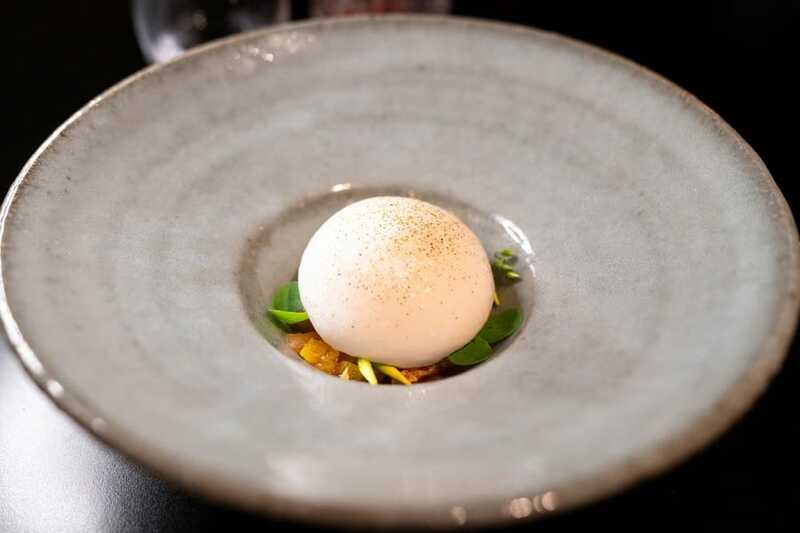 I enjoyed an ice-cream sandwich of olive oil and lime gel ice-cream as pallet appetiser, an ouzo, blood orange, and lime cocktail, lamb with vine leaves, and rooster with chicken liver parfait, to name a few dishes in the 8-course feast. 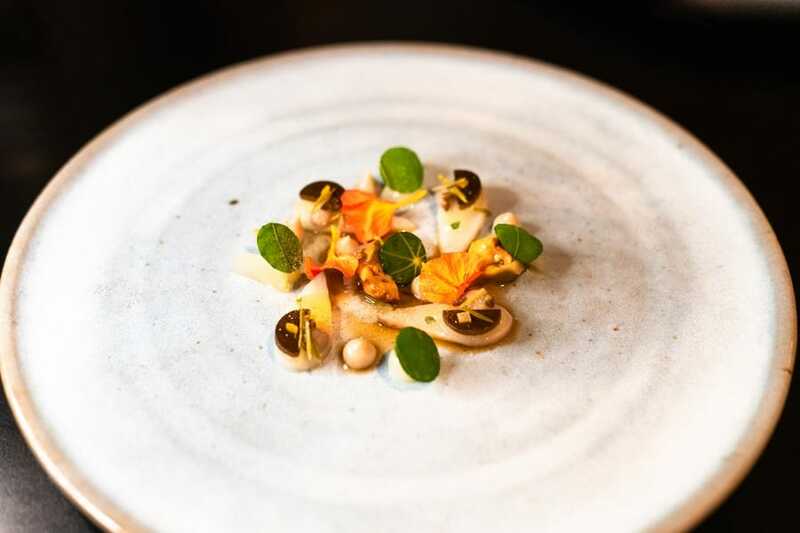 Every dish I tried consisted of layers upon layers of flavour, served at optimal temperatures and with presentation that complimented the raw ingredients. 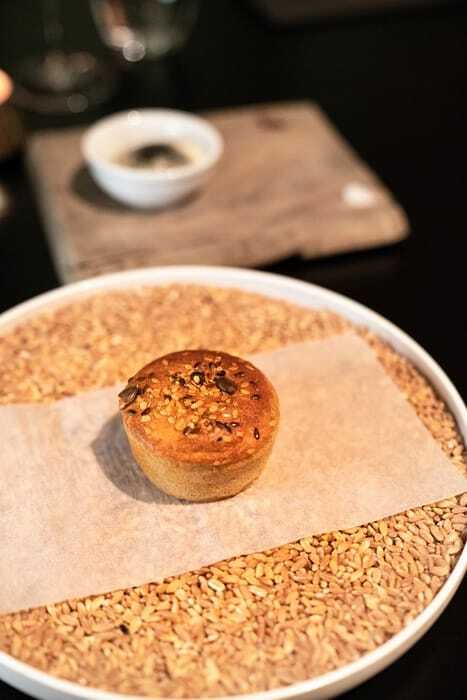 Fresh bread rolls were served on a bead of natural grains, while a tart with marigold flower was presented on a bed of potpourri. 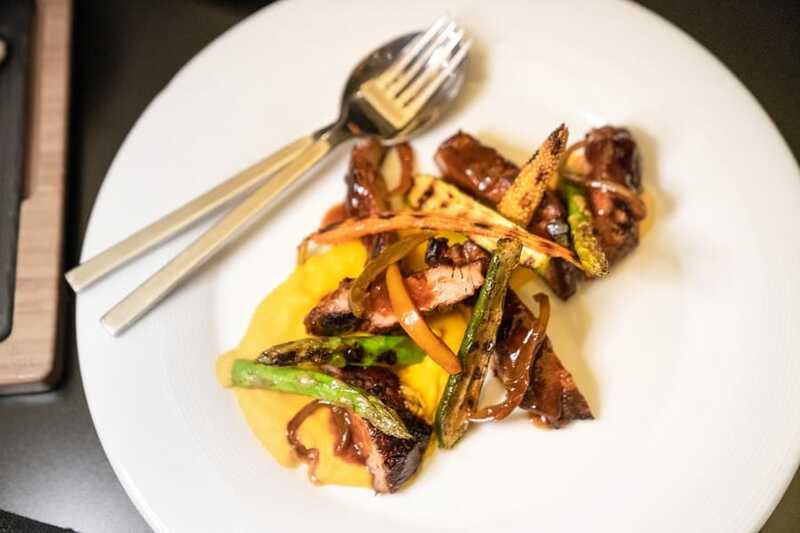 If fine dining was an Olympic sport, Hytra Restaurant would win gold. Hands down. 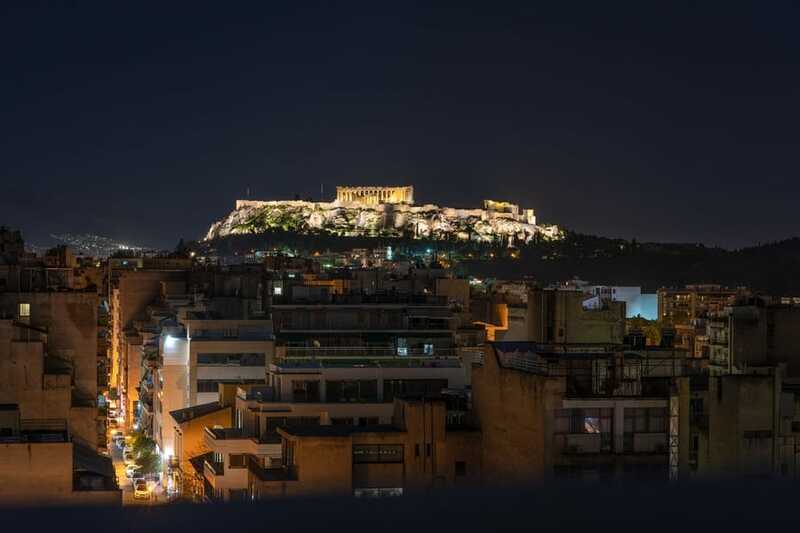 From its lofty vantage point high above Athens, the Acropolis is easily spotted from most central suburbs, but I found one of the best places to admire Athens’ timeless cityscape - Above Rooftop Bar, located on the 9th floor of the Wyndham Grand Hotel. 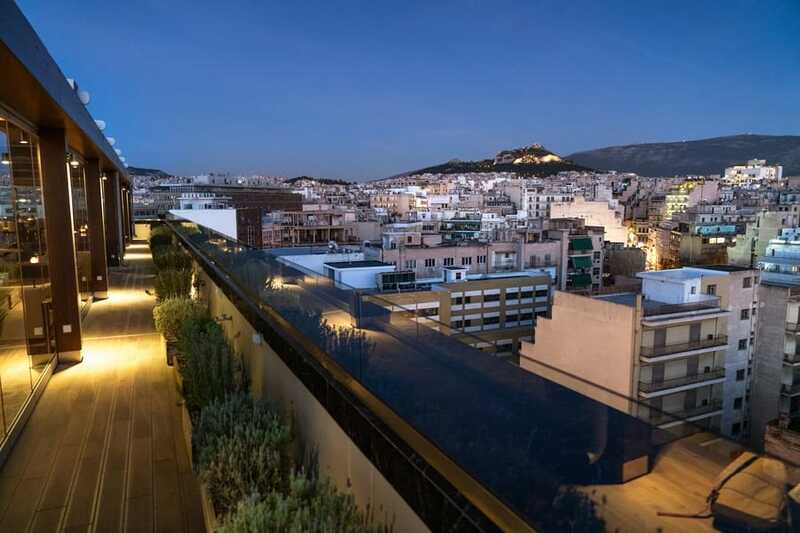 As captivating as the city views are, the main event is definitely the modern Greek cuisine. 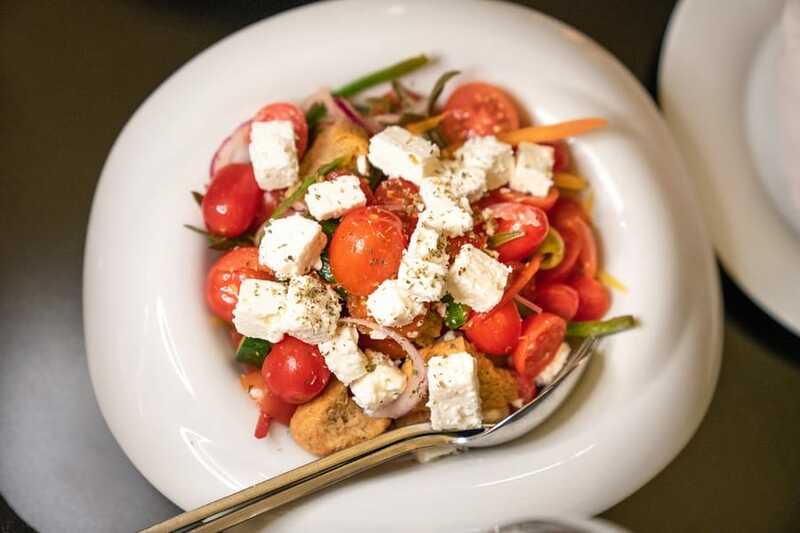 Above Rooftop Bar showcases fresh, local produce from all over Greece, like tomatoes from Crete and goat cheese from Macedonia. 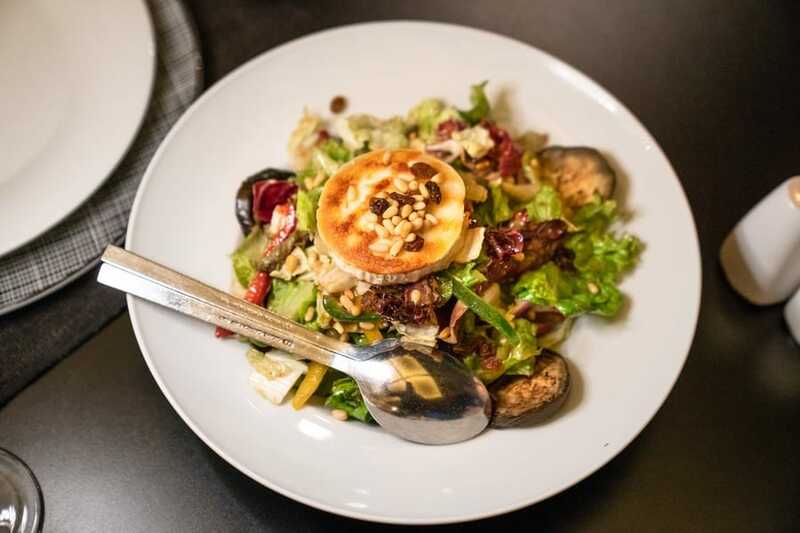 We started off with 2 salads: 1 traditional Greek salad and 1 with grilled goats cheese, pine nuts, eggplant, and peppers. The ingredients in both salads were so fresh and flavoursome I wouldn’t be surprised if they were picked the day I ate them. 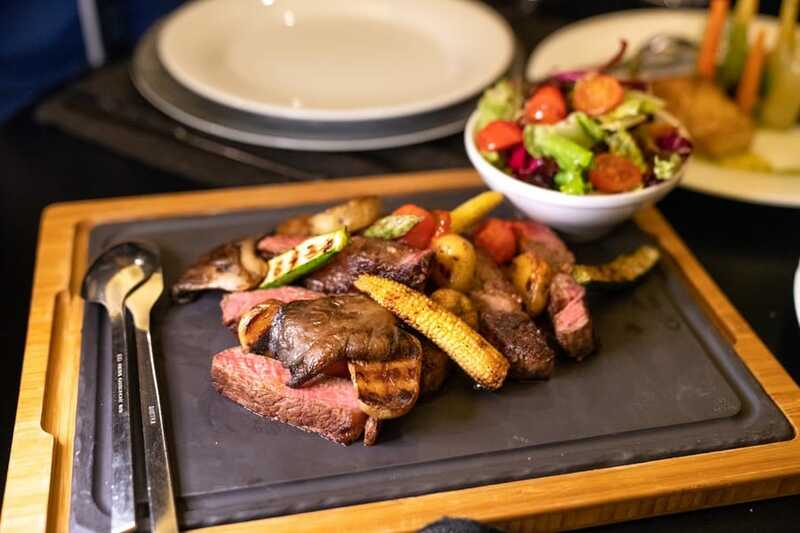 Main course options include grilled amberjack with punchy vegetables like asparagus, olives, and beetroot, pork with grilled Mediterranean vegetables, and a succulent rib eye steak with grilled vegetables and a side salad. Serving sizes here are extremely generous – 1 main and 1 salad could feed 2 adults. But make sure to save room for the decadent deserts. The lemon merengue pie has the perfect balance of acidity and sweetness, while the gold-leaf-topped chocolate mousse cake is out-of-this-world with perfectly balanced layers of chocolatey goodness. By the end of my visit to Athens, I was completely in love with Greek cuisine and didn’t want to leave it behind. My solution? 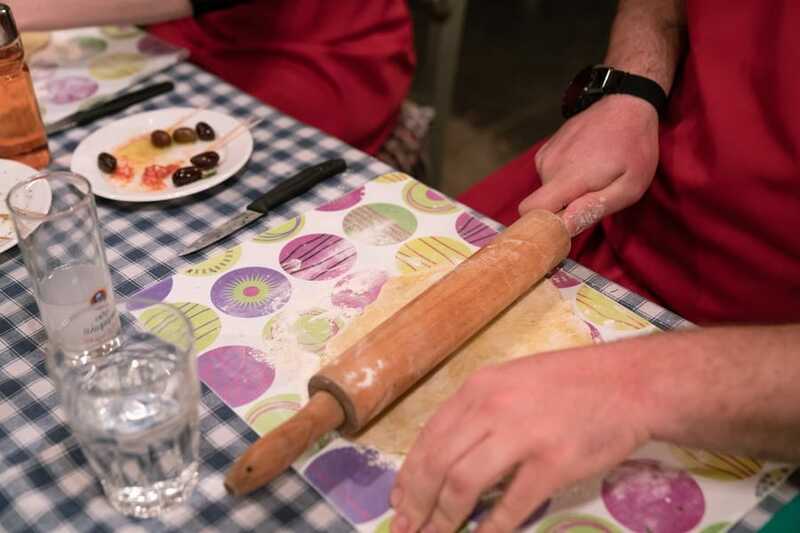 Learn a few tricks of the trade with a Greek cooking lesson through Athens Walking Tours. 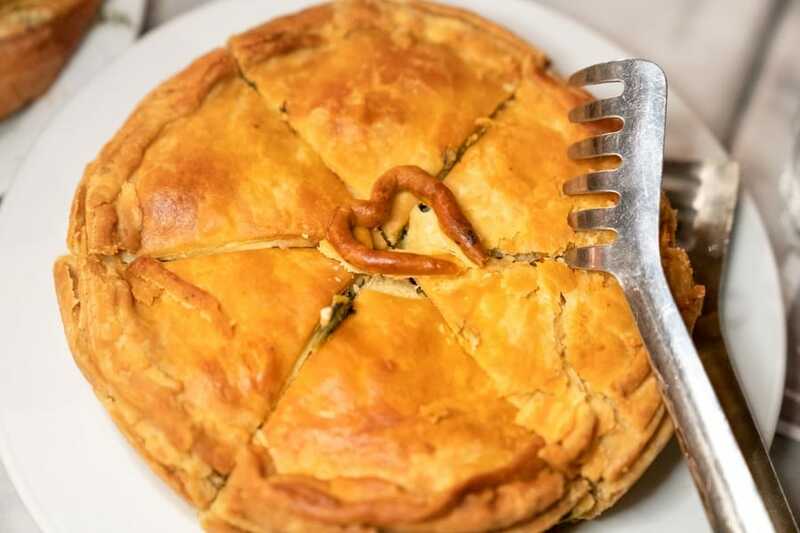 The lesson was held at taverna, Diavlos, where instructor, Fofi, showed our group of 4 how to make spanakotiropita (cheese and spinach pie), Greek salad, tzatziki dip, roast lamb, dolmadakia (stuffed vine leaves), zucchini balls, and a yoghurt desert. 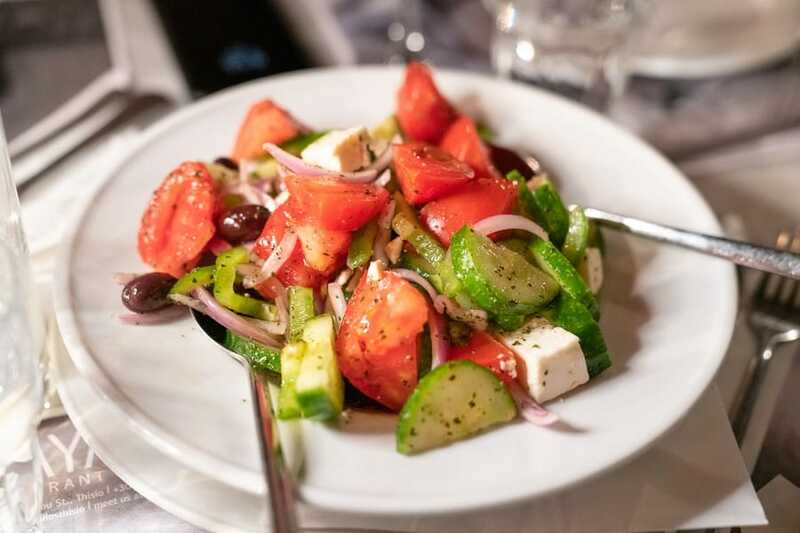 Some of these delicacies may not sound too complicated, but even a simple salad can come to life when prepared the Greek way – with plenty of herbs and an abundance of olive oil! Most of the dishes required a collaborative effort, we all cut different vegetables for the zucchini ball mixture, then I mixed pastry dough while others prepared the pie filling. As Fofi put it, “many hands make light work”. 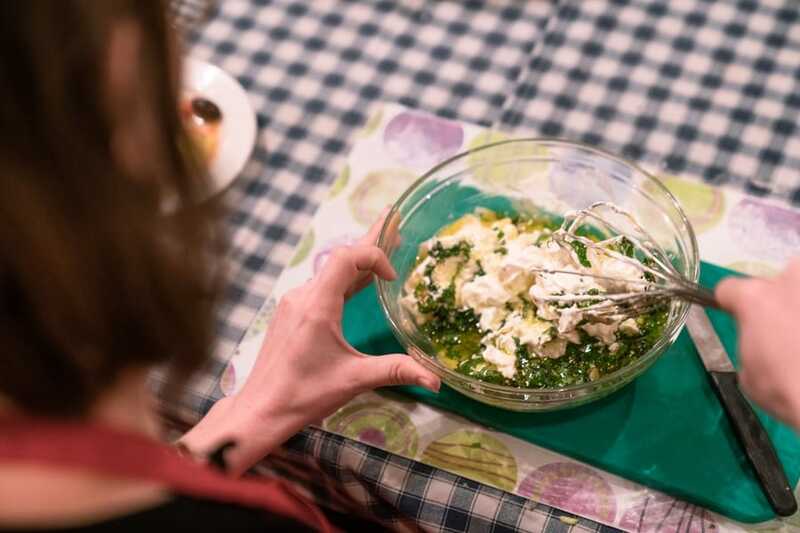 While we were hard at work, Fofi shared some Greek cooking traditions, like only using fresh, in-season ingredients (meaning common menu items change from season to season), and never wasting leftover ingredients or cooked food. One trick to eliminate waste is turning leftover roast lamb into a pie filling. Fofi also shared handy tips to help us work, like sprinkling salt over spinach, then squeezing it repeatedly to get rid of excess liquid. This made our spanakotiropita both smoother and crunchier and I couldn’t believe how much liquid came out of the spinach! Our tummies were soon rumbling and we moved to the taverna’s dining area with a glass of wine to sip as we waited in anticipation. 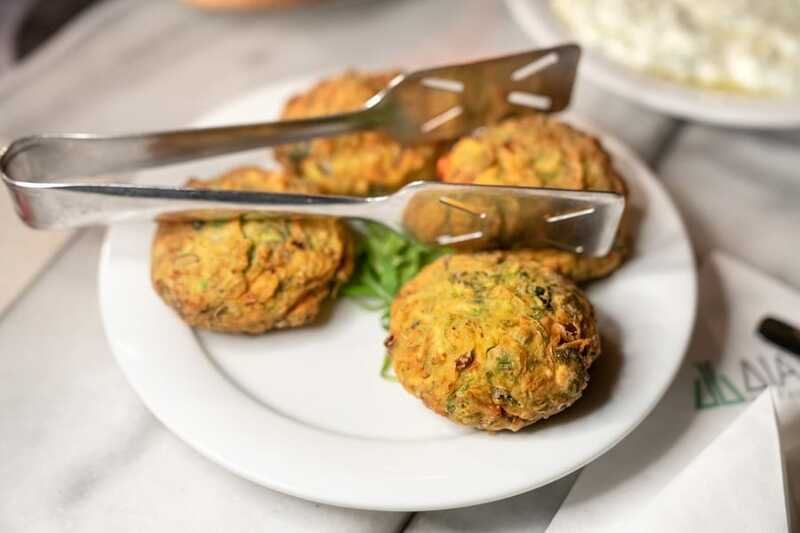 Before we knew it, our tasty creations were brought to our table just like any other dish on the taverna’s menu! We couldn’t help but pat ourselves on the back as we bit into the crunchy zucchini balls and tasted the zesty, succulent roast lamb. Before leaving, we were each given a booklet of the recipes we prepared to take home and make again. 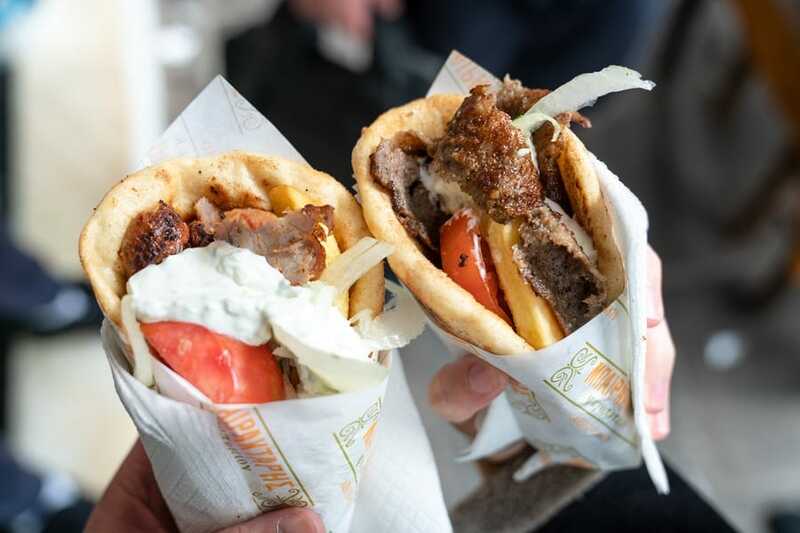 If your next visit to Athens includes dining at a handful of tavernas and souvlaki stands, you may very well find some of the best dining experiences of your life because, let’s face it, you simply can’t go wrong with Greek food. 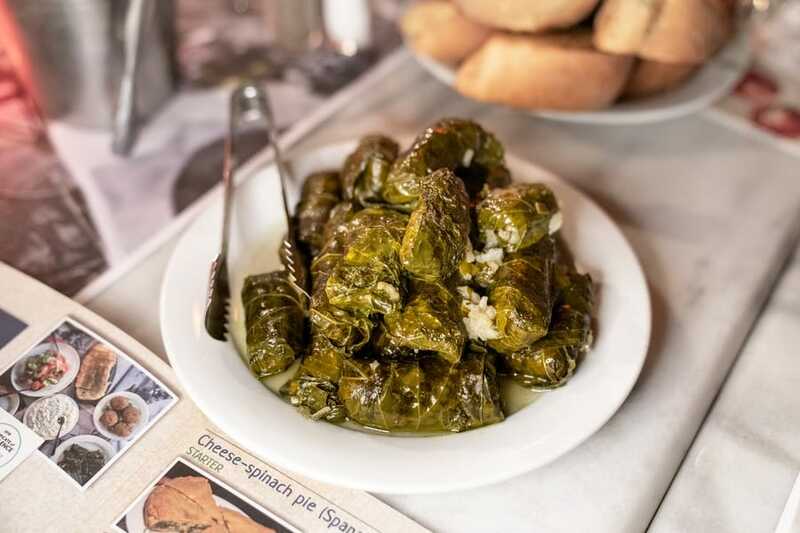 But Greek food doesn’t have to be simply amazing, it can be out-of-this-world, next-level, eye-popping, tongue-wagging amazing. 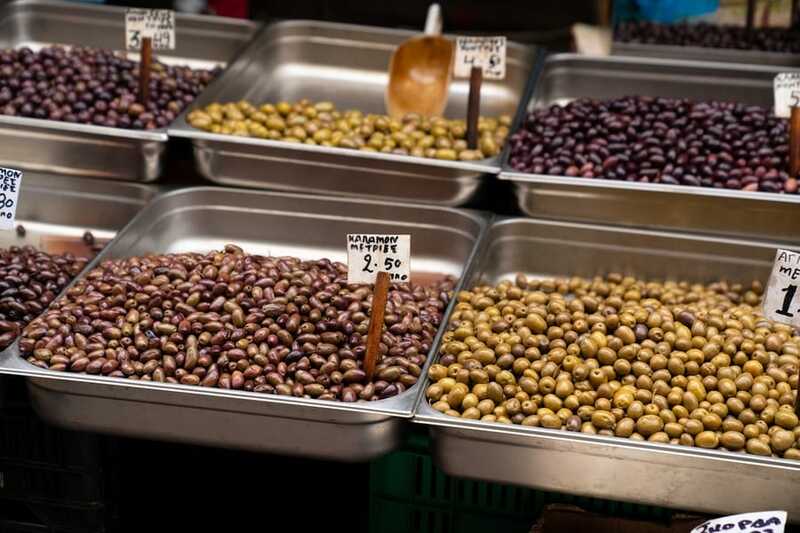 And that’s what you’ll find if you explore the food culture in Athens a little deeper with a food tour, fine restaurant, or cooking lesson. Or just do all of them!